Not all awards are about movies. 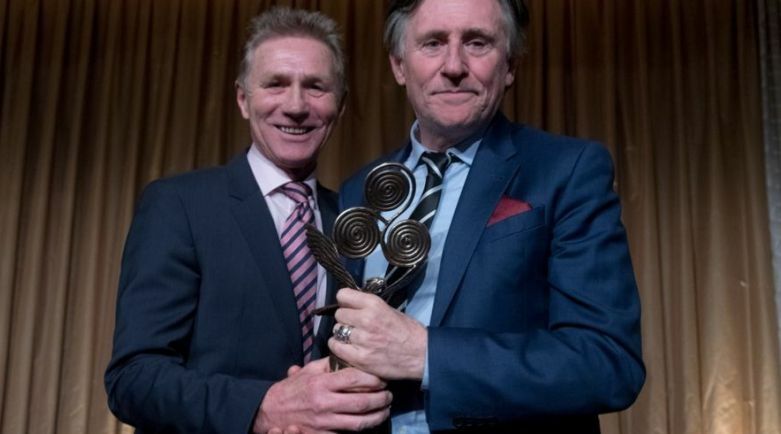 Gabriel Byrne was recently recognized twice: for his distinguished service to Ireland and for, well, being himself, it seems! 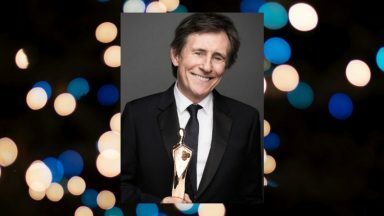 Gabriel Byrne’s award recognizes his work as Cultural Ambassador for Ireland, a job into which he poured his heart and soul for two years. Read more about his accomplishments as Cultural Ambassador and learn more about President Michael D. Higgins at his presidential website. 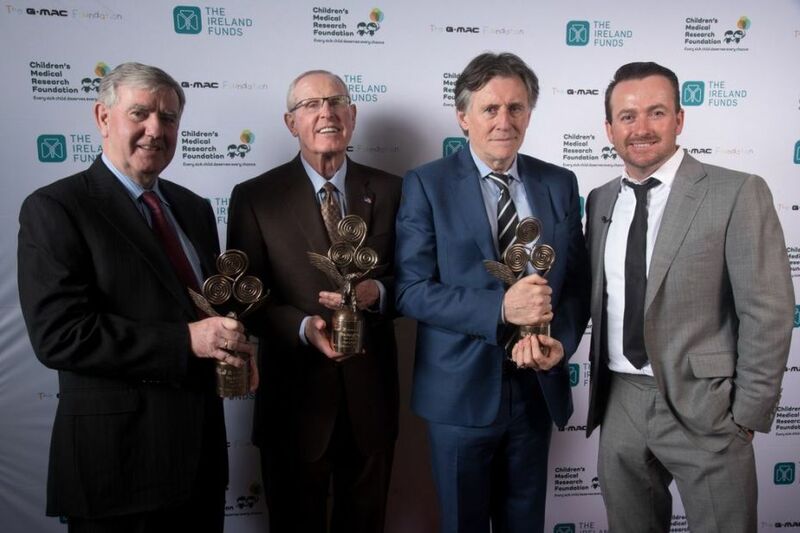 Honorary patrons Graeme McDowell and Eamonn Coghlan celebrated a milestone on Thursday night [January 19] as the ‘Best of Ireland’ Gala Dinner broke the €3 million mark in this its 6th year. 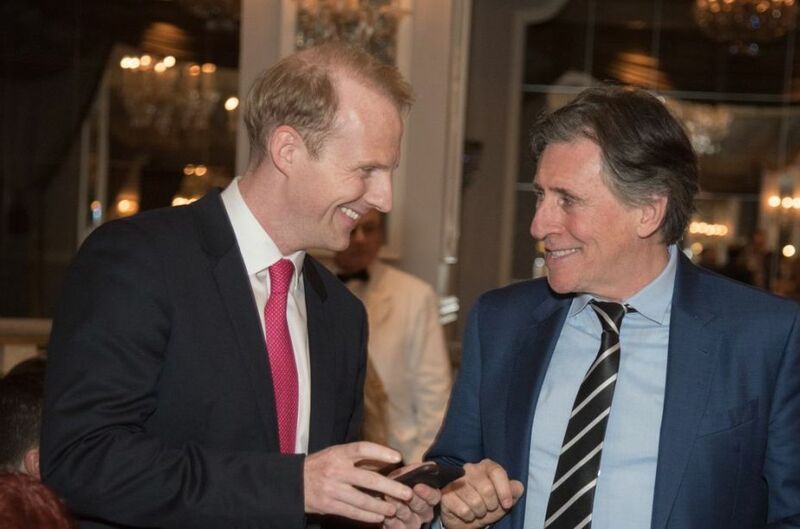 The acclaimed sportsmen established the Gala in 2012 and since then have hosted the dinner annually to celebrate the ‘Best of Ireland’ across the fields of sport, arts and business to raise funds for Our Lady’s Children’s Hospital, Crumlin and the National Children’s Research Centre. 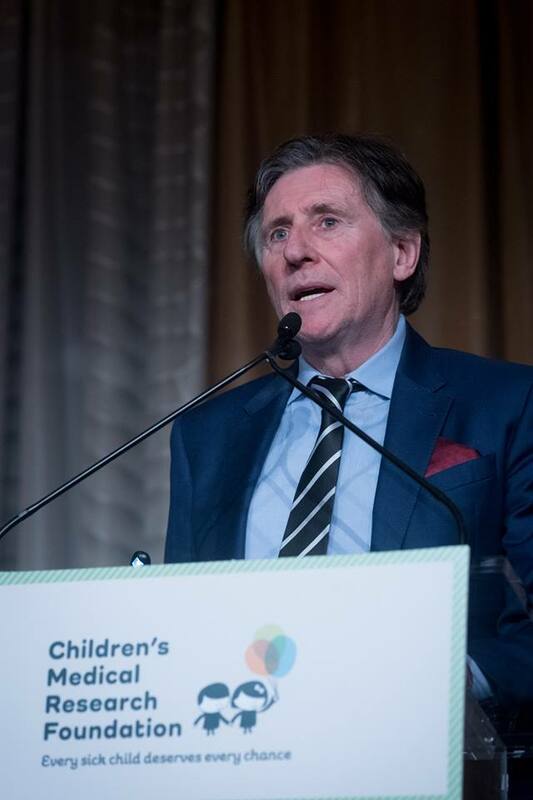 2017’s event, held at New York’s Pierre Hotel in association with event partners The Ireland Funds and Graeme’s own foundation The G-Mac Foundation, pulled in a whopping €625,000 and honoured actor Gabriel Byrne, former New York Giants football coach Tom Coughlin and VP of Coca-Cola Irial Finan. Read more at the CMRF Crumlin website. Oh, Gabriel looks so handsome in that blue suit! That smile. <3 I'm so happy to see recognition for him. It makes me smile. He is a great actor, but we know he is so much more. He has a big heart for his native country Ireland. I think he loves Ireland and we can see Ireland loves him! Still being the best he can be!! Congratulations on both awards! The Presidential Award for his work as Cultural Ambassador is so meaningful. It’s fabulous to see Gabriel recognized for this selfless work. He gave his all as Cultural Ambassador for Ireland. And we are richer for it. I, for one, learned a ton about the Irish contemporary arts scene. Bravo! 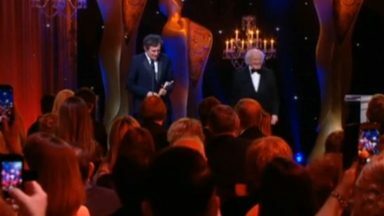 Gabriel Byrne at the IFTA Awards!